John Locke took over the distillery in 1843 and it remained in the hands of the Locke family for many years. It was inherited by Mary Evelyn and Florence Emily, granddaughters of John Locke in 1943. In 1947 the distillery was purchased by The Transworld Trust. This, together with the economic depression of the 1920s and 1930s, took its toll on Locke’s and on 19 March 1954 production ceased, with the distillery closing completely in 1957. Thereafter, the building began to fall into disrepair. Twenty five years after its closure, the community of Kilbeggan restored the distillery and opened it to the public as a whiskey distillery museum. Cooley Distillery bought the license to produce Kilbeggan and Lockes Whiskey, and later took over the museum along with opening a new working distillery in Kilbeggan. 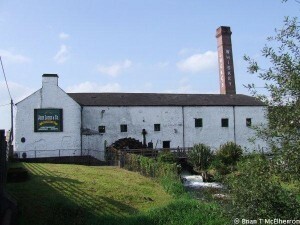 Take a guided tour of Kilbeggan Distillery with a visit to the old warehouses and a meet and greet with our onsite distillers, finished with a Masterclass in tasting of four unique Irish whiskeys, Greenore Single Grain, Kilbeggan Irish whiskey, Tyrconnell Single Malt and Connemara Peated Single Malt. If you are the designated driver we are happy to provide a small taster size for you to enjoy when you return home.